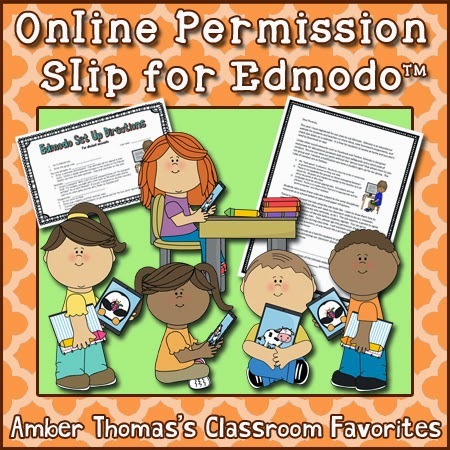 Shut the Door and Teach: Have You Tried Edmodo? I recently had the opportunity to attend a workshop on Edmodo. 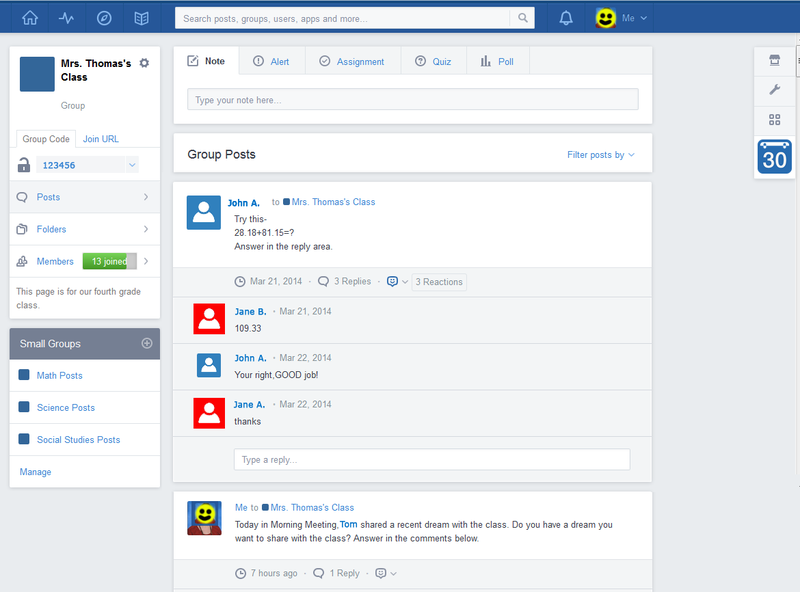 Whenever I heard about teachers talking about creating a class page with their students, Edmodo always came up. And I'm interested in using technology more with my students; I already had a classroom blog which I talked about in this post. I just didn't know how Edmodo was different. First, when you sign up for Edmodo as a teacher, you are given a "classroom code." You will give that code to your students when you sign them up, and no one else can see the page unless they register with that code. It's not the same as a password, in that the children will sign in with a username and password each time they log in, but the code is only used by them once when the register. 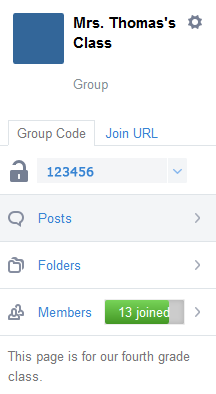 Once your whole class registers, you can "lock" the group. If you get a new student later in the year you can reset the code to register that student (students who registered already don't need to re-register with the new code). So the bottom line is, no one is getting on now or later without your help. Second, unlike Facebook and other social media sites, there is no private messaging between students. Anything a child writes will be seen by you and every other child in the class, and it will be logged under their real first name. If a child was going to say something inappropriate, it would be as if they stood up in the middle of class to say it; it's all out in the open. You even have the option (in case you do have a "bold" class this year) to "moderate" comments. That is, you can set their posts to stay hidden from the other kids until you approve each one. 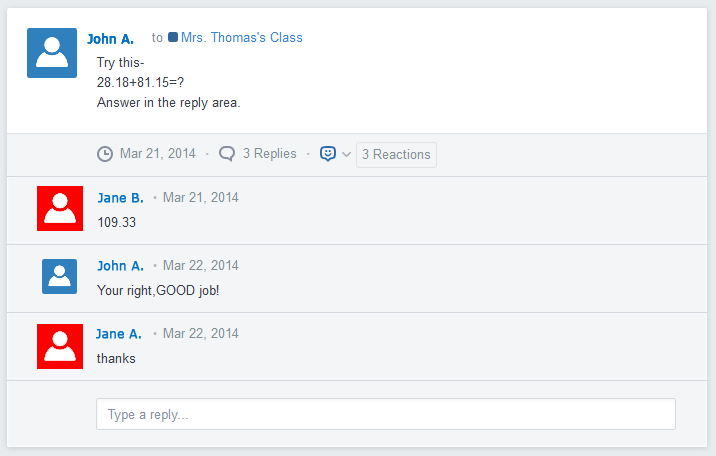 I've used Edmodo for 2 weeks now, and honestly I am not sure I love it more than the classroom blog. Watch for a future post on the pros and cons list for Edmodo versus Weebly. So if you're interested in Edmodo, I feel it IS worth trying, but you might find a different platform suits your needs better.